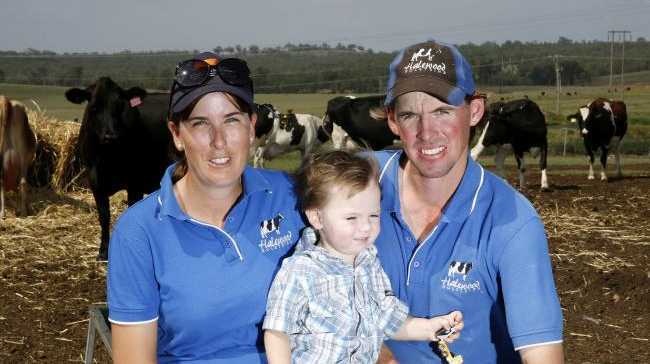 Michael and Melinda Hassett with son Bentley, 2, on their dairy farm near Singleton. Picture by Peter Lorimer. COLES bosses will be forced into a meeting with NSW Primary Industries Minister Niall Blair who wants to "eyeball" them over their "unAustralian" refusal to not scrap $1-per-litre milk. Mr Blair has urged parents to support the diary industry by feeding their children milk instead of soft drinks, saying the product is being "devalued" by Coles and Aldi who have refused to follow Woolworths lead and scrap the cheap milk. 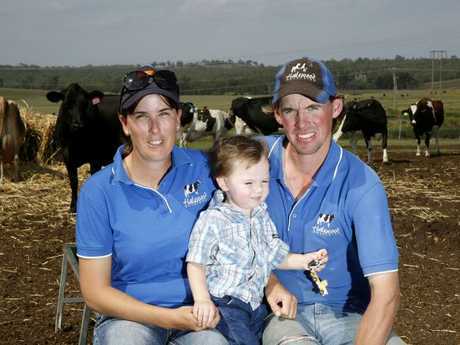 Michael and Melinda Hassett with son Bentley, 2, on their dairy farm near Singleton. Picture: Peter Lorimer. Woolworths is adding 10 cents to their per-litre prices with the extra cash to go straight to struggling dairy farmers. "(Coles) say they're talking through other measures - I want to know what they are but to be frank they're dragging their heels and time is of the essence for these farmers," Mr Blair said. The deputy leader of the NSW Nationals rubbished Coles' reasoning for not lifting the milk price, saying it's ridiculous to argue household budgets can't afford an extra 10 cents. He is also pursuing a meeting with Aldi. "I hope (Coles and Aldi) have a good think about what they're doing to dairy farmers … people need to know there's more electrolytes in milk than Gatorade, we should be encouraging kids to drink milk than other alternatives out there," he said. "If we want to have proper conversation about nutrition, proper conversation around setting kids up for best start in life we should start with healthy stapes and milk is one." 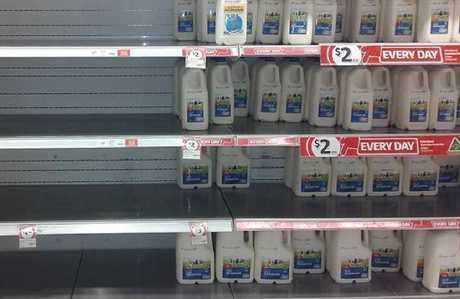 Coles said it would not axe its $1-a-litre Coles-branded milk. "(Supermarkets should) not be using cheap milk to get shoppers in the door and then flogging alternatives like soft drinks"
"It devalues the product, it's the wrong message and it's unAustralian." Dairy farmer Melinda Hassett, 31, who lives with her family on a drought-stricken property near Singleton supplies milk to Parmalat. "If we weren't Parmalat suppliers I don't know where we would be today." She said they need to be paid at least 50 cents per litre of milk to make money. "For us to start making money our base price would have to be 50 cents a litre but that's all year around," she said." "We sit our base prices under that - it varies. We would get up to 48 cents base price for three months and then it would drop down to 44 cents - it fluctuates every three months." 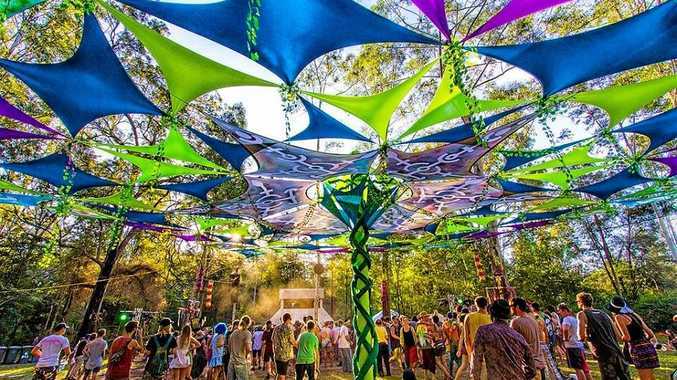 Breaking ORGANISERS moved the Northern Rivers festival to Queensland after lack of support from the NSW police and local council. Crime The crook pleaded guilty to nearly 40 offences.